People east of the Anacostia River will be celebrating big on April 20. It’s the fifth anniversary of the Anacostia River Festival, and there's another major milestone to celebrate this year: The Anacostia Park has turned 100. The free cultural celebration offers a full schedule of family-friendly activities, musical performances and the chance to experience the lesser-known arts hub of Southeast D.C. Visitors can get tours of the park, make jewlery from recycled materials, learn CPR or watch a healthy food demonstration. Families can enjoy the riverfront with fishing, canoeing and rowing. There will also be a bike parade at 3 p.m. and plenty of live music all day. Here's the full schedule. The National Park Service hosts the festival each year near the 11th Street Bridge Park. This year's celebration was originally planned for April 14, but was pushed to April 20 due to weather. 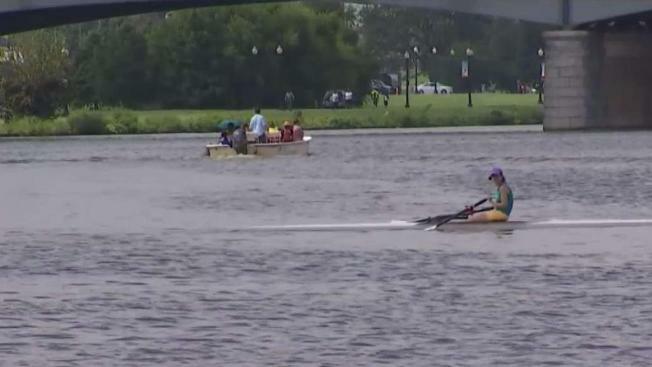 The Anacostia River Festival gives tourists the opportunity to explore other vibrant communities outside of downtown, organizers say. Scott Kratz, director of the 11th Street Bridge Park says the Anacostia River Festival brings together residents from both sides of the Anacostia River and across the region. "Since the Festival first began in 2014, our audience has grown from a few thousand to nearly 9,000 participants,” Kratz said in a statement. The popularity of this festival and the added traffic it brings is welcomed by the Anacostia Park’s superintendent Tara Morrison. "We hope those who visit for the festival come back for a family gathering, evening exercise, or to have children enjoy the playground at their neighbourhood national park,” Morrison said in a statement. Check it out on April 20 from 1-5 p.m.